If there is one procedures done in ancient times that most awes (or horrifies) modern observers, and among the surgical procedures, it is trephination — cutting holes in the skull to relieve pain and pressure — that most often steals the spotlight. The process was well known, having been explicated early on by Hippocrates himself. (You can see ancient Roman trephined skulls at the Museo Preistorico ed Etnographico Luigi Pigorini on Piazza Marconi in Rome). Other skull procedures were also developed, particularly those concerned with the reduction of depressed cranial fractures — if your skull was pounded in, it could be fixed. The process of trepanning was meant to cure this complaint. This involved opening the wound and removing the offending section of bone. As there was no anesthetic the operation would have been painful to say the least. Bodies uncovered showing signs of this operation and also had evidence of new bone had grown over the gap left by the operation. 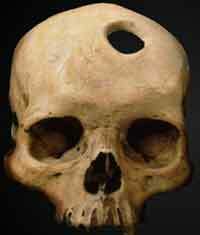 There was no doubt trepanning was an effective operation, which is why it was so popular. 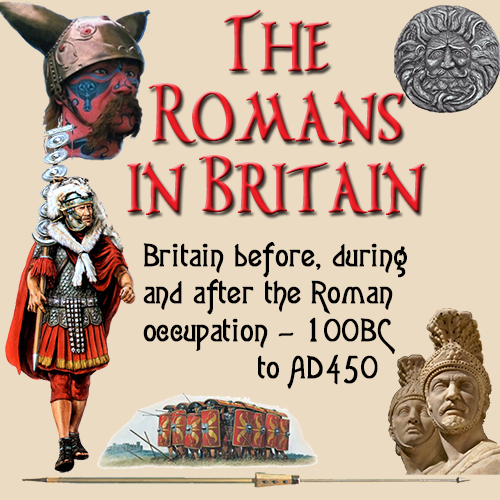 It was war injuries, of course, that really advanced Roman surgery. If you were lucky, your military unit would have a good medicus/chirurgus who could patch you up before you bled to death, and if you were really lucky he might retire to the same colonia that you were pensioned off to. (Chirurgus was really a corruption of the Greek word for surgeon, which transliterates into English as “cheirourgos”. The pure Latin phrase for surgeon was actually “medicus vulnerarius”, which means, literally, “wound doctor”) Roman military surgeons were, in fact, only rivaled by specialist arena surgeons, who repaired valuable gladiators. Roman surgeons were also adept at several forms of minor plastic surgery. They did facial and other repairs, removed growths, etc. The most common operation appears to have been male de-circumcision. Reversal of genital mutilation, which might have been the result of religious observance or mischance, was an important procedure which one would seek in order to avoid embarrassment when appearing naked at the baths or in the gymnasia. 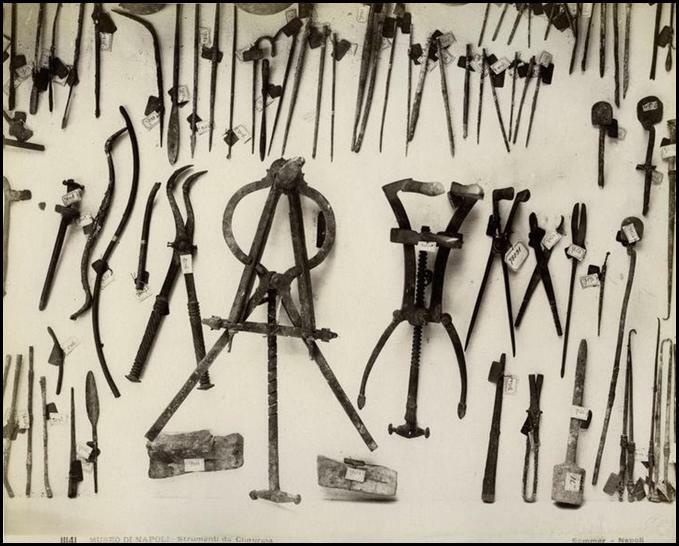 Archaeological sites have produced many implements used in ancient Roman surgery — some dating to 460 BC. This is the timeline Hippocrates wrote The Oath — a pledge still taken today by doctors to perform to their fullest ability. Roman Medics studied Medical texts by Hippocrates, who came from the Greek Island of Cos and is generally regarded as the “Father of Medicine.” Actually, he was only one of a longstanding line of medical practitioners, but his personal popularity ensured that his treatises were saved by his followers while those written by his predecessors, which nobody saved, were lost to the coming ages. Scalpels: Could be made of either steel or bronze. Ancient scalpels had almost the same form and function as those of today. The most ordinary type of scalpels in antiquity were the longer, steel scalpels. These long scalpels could be used to make a variety of incisions, but they seem to be particularly suited for deep or long cuts. Smaller, bronze scalpels, referred to as bellied scalpels, were also used frequently by surgeons in antiquity since the shape allowed for delicate and precise cuts to be made. Hooks: A common instrument used regularly by Roman and Greek doctors. 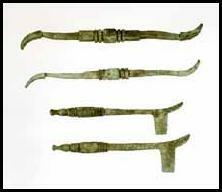 The ancient doctors used two basic types of hooks: sharp hooks and blunt hooks. Blunt hooks were used primarily as probes for dissection and for raising blood vessels. Sharp hooks, on the other hand, were used to hold and lift small pieces of tissue so that they could be extracted, and to retract the edges of wounds. Bone Drills: Driven in their rotary motion by means of a thong in various configurations. Roman and Greek physicians used bone drills in order to remove diseased bone tissue from the skull and to remove foreign objects (such as a weapon) from a bone. Forceps: Forceps were often used in conjunction with bone drills. They were used by ancient doctors to extract small fragments of bone which could not be grasped by the fingers. Catheters: Used in order to open up a blocked urinary tract which allowed urine to pass freely from the body. 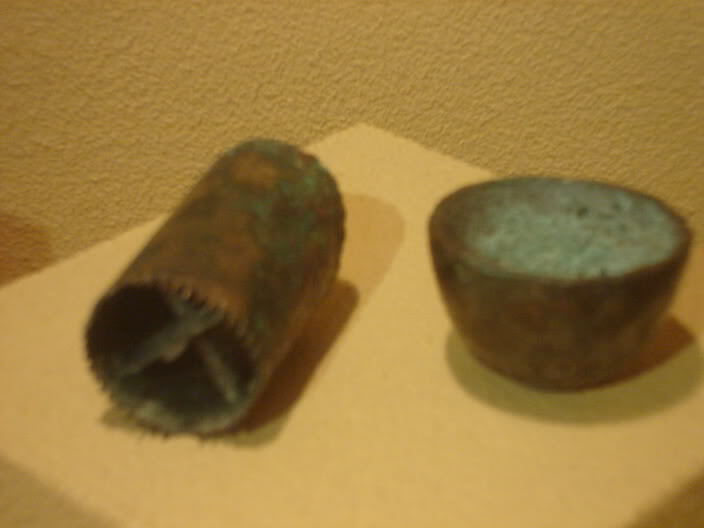 Early catheters were hollow tubes made of steel or bronze, and had two basic designs. There were catheters with a slight “S” curve for male patients and a straighter one for females. There were similar shaped devices called bladder sounds that were used to probe the bladder in search of calcifications. Uvula Crushing Forceps: These finely toothed jawed forceps were designed to facilitate the amputation of the uvula. The procedure called for the physician to crush the uvula with forceps before cutting it off in order to prevent hemorrhaging. Vaginal Specula: Among the most complex instruments used by Roman and Greek physicians. Most of the vaginal specula that have survived and been discovered consist of a screw device which, when turned, forces a cross-bar to push the blades outwards. 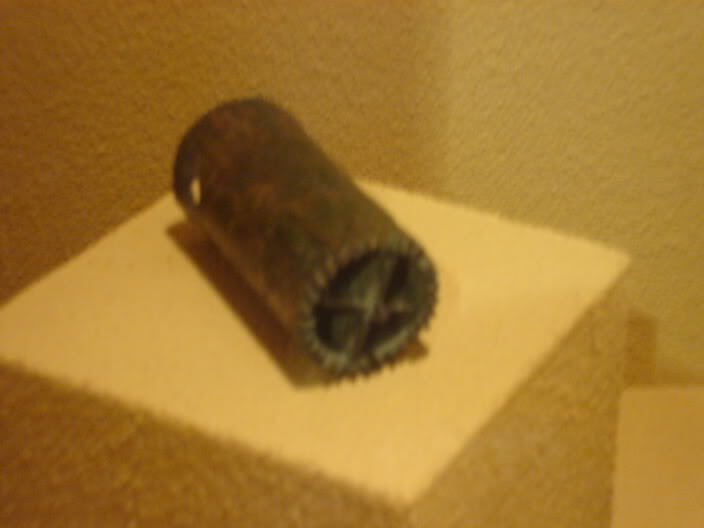 Spathomele: This instrument was used to mix and apply various ointments to patients. Surgical saw: This instrument was used to cut through bones in amputations and surgeries. Recently, a military hospital at Baden has produced a large collection of medical tools. 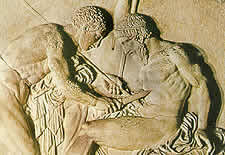 A stone mural of Roman legion depicts a fellow solider helping another remove probably an arrow from his leg with a pair of pinchers. Some soldiers were skilled in medical while still serving in the army. The negative realm of Roman medicine started in its early history. 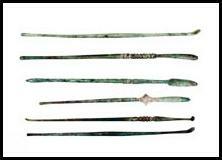 Here are some examples of surviving Roman medical instruments. Scalpels, made of steel or bronze were used to make incisions. Scalpels could be made of either steel, bronze, or a combination of the two metals—such as a steel blade and a bronze handle. Ancient scalpels had almost the same form and function as their modern counterparts do today. The two long steel scalpels that make up the first and third columns of the accompanying image are examples of the most ordinary type of scalpel from antiquity. These long scalpels could be used to make a variety of incisions, but they seem to be particularly suited to making either deep or long cuts. The four bronze scalpels which make up columns two and four are generally referred to as “bellied scalpels.” This variety of scalpel was another favorite of physicians in antiquity since the shape of its handle allowed more delicate and precise cuts to be made. Hooks, long thin metal instruments were used as probes and the maneuvering small pieces of tissue more easily. Hooks were another common instrument used regularly by Greek and Roman doctors. The hooks the ancient doctors used came in two basic varieties: sharp and blunt. Both of these types of hooks are still used by modern surgeons for many of the same purposes for which the ancient doctors first used them. 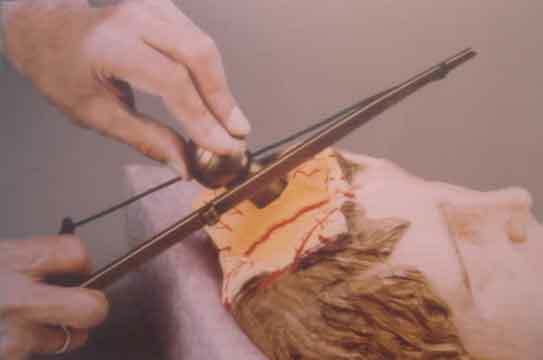 For instance, blunt hooks were primarily used as probes for dissection and for raising blood vessels. Sharp hooks, like those pictured in the accompanying image, were used to hold and lift small pieces of tissue so that they could be extracted and to retract the edges of wounds. Bone drills, looking like wine cork screws were used to remove diseased bone tissue from the skull and extract sizable foreign objects such as a weapon from a bone. Bone forceps were used to extract small pieces of bone that would be otherwise difficult to remove with fingers. In the case of impaction of the foetal cranium, the head may be opened with a sharp instrument and the pieces of the skull removed with bone forceps. Paul Aigenita (VI.xc) wrote that in a depressed fracture of the skull fractured bone is to be removed in fragments, with the fingers if possible, if not, with a bone forceps. This instrument, called a vectis by the Romans, was a bone lever used for levering a fractured bone into place or raising a depressed bone. The surfaces at the ends were ridged for better gripping. From what Galen says, these instruments were used for levering fractured bones into position and may have been used for levering out teeth. ...on the first day before inflammation has come on, or about the ninth day after inflammation has gone off, we may set [bones] with an instrument called the lever. It is an instrument ... about seven or eight fingers breadth in length, of moderate thickness that it may not bend during the operation, with its extremity sharp, broad and somewhat curved. These finely toothed jawed forceps were designed to facilitate the amputation of the uvula. The procedure called for the physician to crush the uvula with forceps before cutting it off in order to prevent hemorrhaging. Almost every medical writer mentions the spathomele. It consists of a long shaft with an olivary point at one end and a spatula at the other. It was a pharmaceutical rather than a strictly surgical instrument. The olive end was used for stirring medicaments, the spatula for spreading them on the affected part. The spathomele was also used by painters for preparing and mixing their colors. The very large numbers in which they are found would indicate that their use was not confined to medical men. The bone saw was used to cut through bones in amputations, which the Romans knew prevented gangrene. At the cellular level the healing process starts almost immediately, but a few days after amputation there is a no observable signs of healing. After more than a week the ends of the bone and diaphysis (mid-shaft) will undergo vascular erosion. After two weeks an endosteal callus will form on the end of the shaft that will eventually narrow and obliterate the medullary cavity. This basically means that a rough bony callus will start to cover the marrow cavity of the bone. Eventually the rough new bone growth will eventually smooth over and give the shortened end of the diaphysis a rounded appearance (Aufderheide & Rodriguez-Martin 1998).